Country: USA Wingspan: 31' 6"
Year: 1930 Length: 20' 1"
Horsepower: 90 Gross Weight: 1425 lbs. The Cavalier was manufactured by the Star Aircraft Corporation in Bartlesville, Oklahoma. The famous William D. "Billy" Parker was the general manager through out the company's existence. 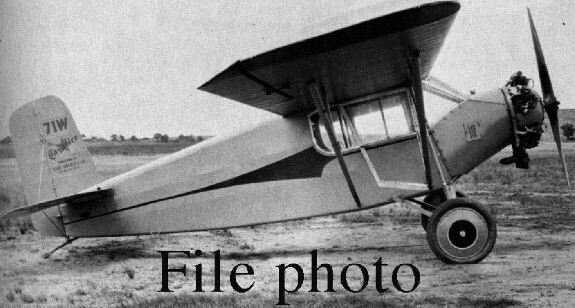 Competing for sales with the popular Monocoupe line of airplanes, the Cavalier was designed as a more rugged aircraft. The Model E was the last of the series, improved with more horsepower, a larger tail, and an outrigger style landing, it proved to be more versatile than previous models. Philips Petroleum and many other oil companies used the little monoplanes to fly into unimproved oil drilling sites. The museum's Cavalier was the first of the E models produced and one of only a few examples of the Cavaliers left. It is currently unassembled and on display waiting its turn to be restored to flying condition.